Home Nederlands Actua & Analyse Het Europees Parlement stopt de onderhandelingen met Turkije. Het Europees Parlement stopt de onderhandelingen met Turkije. Het Europees Parlement heeft een resolutie aanvaard dat de toetredingsonderhandelingen met Turkije stopzet. “Rekening houdend met de toestand van de mensenrechten en de nieuwe grondwet van Turkije, raadt het Parlement aan dat de toetredingsonderhandelingen met Turkije formeel afgeschaft worden”, stelt de resolutie. The European Parliament (EP) has adopted a resolution that suggests the suspension of the accession negotiations with Turkey in its general assembly in Strasbourg. The non-binding resolution was adopted in yesterday’s (March 13) session by 370 votes in favor, 109 against with 143 abstentions. “Taking into account the human rights situation and the new Turkish constitution, the European Parliament recommends that the current EU accession negotiations with Turkey be formally suspended,” says the resolution. The resolution will be on the agenda at the meeting of the EU – Turkey Association Council, which will be held tomorrow. The report bases its suggestion on the regression in the areas of democracy, human rights and the rule of law. “On top of the severe human rights violations, the dismantling of the rule of law and the fact that Turkey holds the world record for the number of journalists in jail, the recently amended constitution consolidates Erdoğan’s authoritarianism,” she added. The resolution also calls the European Commission to make this condition a part of the upgraded Customs Union. The resolution demands that the Peoples’ Democratic Party (HDP) MPs who were arrested because of the speeches they made be released. Turkey’s ruling Justice and Development Party’s Spokesperson Ömer Çelik responded to the adoption of the resolution on Twitter. “This disrespectful decision shows the European Parliament’s far-right ideological tendency. 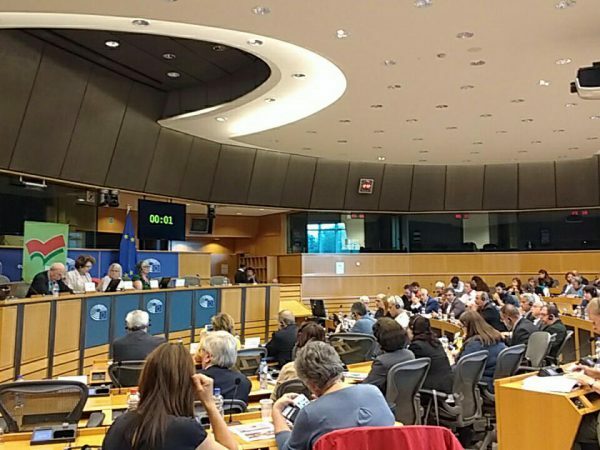 The EP is far away from making supportive decisions to democratic development and looking through the narrow window of the far-right,” Çelik said. “Everyone knows the EU Commissioner for Enlargement’s racism and intimacy of the Turkey rapporteur’s intimacy with those who support terrorism rather than democracy. “We will decisively continue to work in cooperation with the European Union and the Council of Europe in order to ensure the highest standards of rights and freedoms for our citizens, as they deserve. “Instead of encouraging the elimination of political obstacles to the negotiation process, this and similar initiatives prepared in cooperation with those opposed to the European integration and our common values, contradict the values represented by an EU institution. This article appeared on Bianet on 14/03/2019.